Tom and Vivian Wolf own Spring-Run Farms, a 4th generation family farm nestled in the hills of Shreve, Ohio. Together with their son Tim, daughter Lisa and their families, the Wolfs care for more than 90 Ayrshire cows and 450 acres of farmland. What are everyone’s roles on the farm? Tom: My main role is caring for the heifers and the fieldwork. Vivian keeps the record books for the farm and does all the painting. Tim is the herdsman and takes care of all the cows and has heifers at his house too. My daughter Lisa is a full time veterinary technician and oversees the new calf barn. All the grandkids help with milking and the daily chores. Why did your family choose to milk Ayrshires? Tom: I’ve had Ayrshires since I was in 4-H. My parents milked all different breeds – Guernseys, Brown Swiss and Holsteins, but I just wanted something different. When I bought the farm from them in 1950 we switched to all Ayrshires. We like that they do well on pasture and are efficient with their feed conversion. They’re very hearty health-wise, and have strong feet and legs. 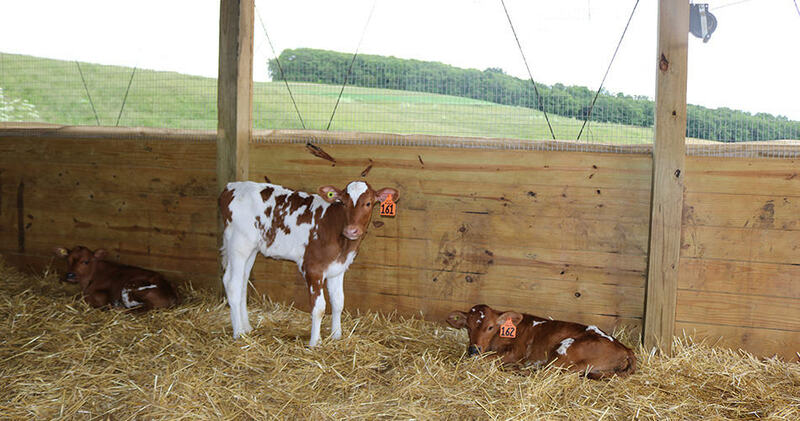 Tell us about your new calf barn and automatic calf feeder. Tom: We built the barn on a hill and put curtains on both sides that we can raise in the summer and lower in the winter to block the wind. We worked with our vet to install air-tunnel ventilation and visited other dairy farms to see what had worked well for them. In the old barn, we had the calves in individual pens and we fed them twice a day. In the new barn, the calves spend their first seven days in individual pens, then move to the group pen where the automatic calf feeder is. Lisa: The calves can come into the feeder up to five times a day. When they walk in, the feeder recognizes the RFID button in their ear and determines how much milk the calf will get. It’s nice because I can come in at any time during the day and look at the feeder to see how much milk they’ve eaten, if they’ve refused to eat or when they’re due to be weaned. What’s the most rewarding part about being a dairy farmer? Tim: I enjoy spending time outside and working with the cows . It’s also nice that my kids and parents are here, so I get to spend a lot of quality time with family. Tom: There’s a lot of rewarding things about farming. Something that really gets me going is planting a seed in the ground and watching it grow, then feeding that crop to the cow and watching as she grows. I also like that you’re your own boss and get to work with family. 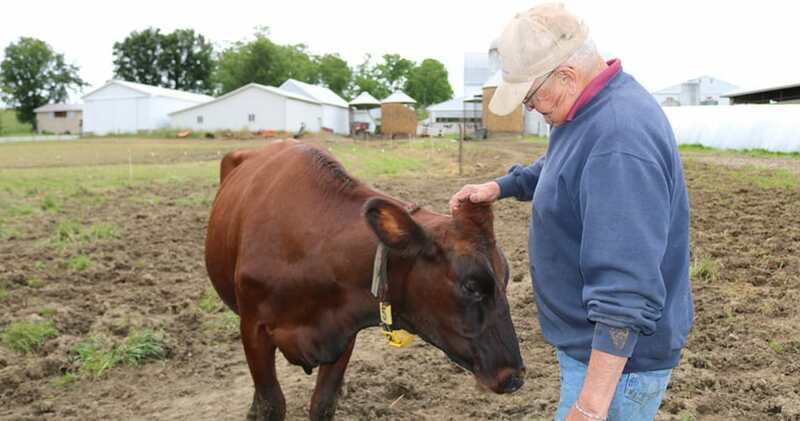 Learn more about Spring-Run Farms or meet more Ohio and West Virginia dairy farmers.